Samuel Kassow is the Charles H. Northam Professor of History at Trinity College in Hartford, Connecticut. Kassow, Who Will Write Our History (Bloomington: Indiana University Press, 2007), p. 3.
Who Will Write Our History is a fascinating study of three separate and intertwined subjects: at its heart is Emanuel Ringelblum, the historian who had the prescience to create and encourage the keeping of an archive in the Warsaw ghetto during the Holocaust. His story cannot be told without reference to the archive itself, which Ringelblum called “Oyneg Shabes” (the joy of Sabbath), primarily because its management committee met secretly to discuss the archive on Saturdays, the Jewish Sabbath. In the Warsaw ghetto, where the archive was assembled and ultimately buried in the ground to protect it from the destruction of the ghetto by the Nazis, this was no mean feat – the archive was born at a time when it was difficult enough for individuals to keep body and soul together, never mind dedicating themselves to a project – more like a mission – that was much bigger than they were. Kassow first discusses Ringelblum himself, the pivotal individual without whom the archive would not have existed. Ringelblum conceived of the archive, shaped it and pushed hard to bring it to fruition, encouraging other individuals to write as much as possible, to keep documents that included official posted notices as well as candy wrappers. Ringelblum had been trained and influenced by the first modern historians of Eastern European Jewry, Simon Dubnow and Isaac Schiper, as well as Meyer Balaban. These historians felt, as did Ringelblum, that Jewish history should be a source of pride and a way to preserve Jewish identity, especially among secular Jews who rejected assimilation and religion. For Ringelblum, the question, “Who will write our history?” was a critical one. 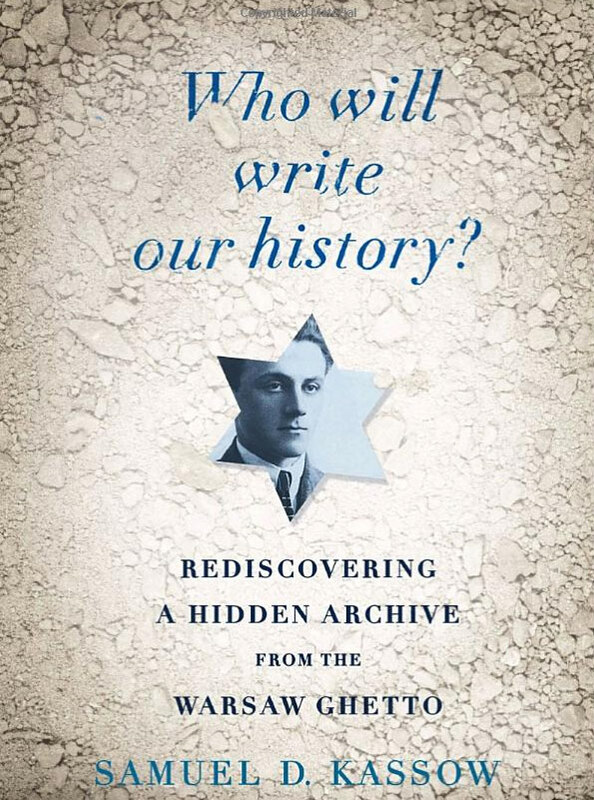 He believed that for far too long, gentile historians had given the Jews short shrift, and that it was time to stop limiting Jewish history to the sayings of rabbis or the actions of the rich; that day-to-day Jewish life needed to be reclaimed by the Jewish historian. Ringelblum’s solution was for ordinary Jews to write their own history – for armies of zamlers (collectors) to collect material, write their own autobiographies and believe that their lives were worth examining. Because this was his philosophy even before he and almost half a million other Jews were penned up together in the Warsaw ghetto, he was the right man to establish the largest ghetto archive during the period of the Holocaust. The Oyneg Shabes archive itself grew out of the self-help organizations in the ghetto – particularly the “Aleynhilf” (literally, “self-help”), and the house committees – organizations which themselves point up the struggle of the individual within the community, and the community itself, to survive in the Warsaw ghetto. 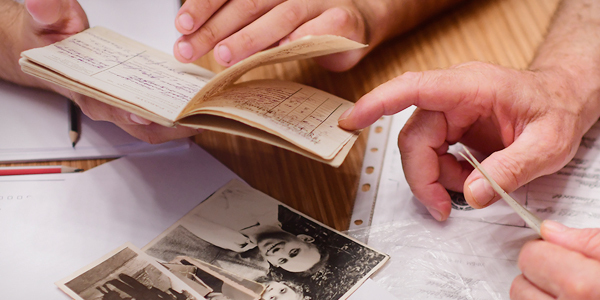 Of course, the archive is so important because it sheds so much light on the lives of everyday people in the Warsaw ghetto. The book contains stories of the deprivations suffered by the inhabitants of the ghetto, but at the same time, it contains the jokes, songs and rumors that allowed the Jews in the ghetto to maintain their morale and their dignity. These are the most fascinating parts of the book – descriptions of the essays written about the role of the Jewish woman during the ghetto, stories written about hunger, street scenes observed and written down to be saved for posterity. Who Will Write Our History is packed with information, delivered in a straightforward fashion but with a great deal of empathy, as well. Through this book we learn much about the individuals behind one of the most ambitious and amazing collective missions during the Holocaust. The book is required reading for anyone who wishes to get acquainted with the Jewish community that existed in Warsaw, as well as the community that existed in the Warsaw ghetto. Kassow’s book, like Ringelblum’s archive, stands as a tribute to what strength of spirit can accomplish.